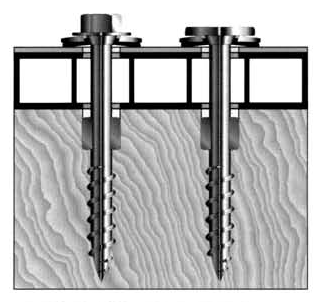 Revolutionary design, self drills expansion hole, automatically centers screw in expansion hole, sealing washer allows installed panels to float in a ONE STEP operation. 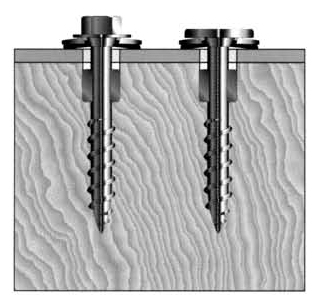 Provides an expansion relief that allows for thermal expansion of paneling products after fastening. Eliminates pre-drilling larger expansion pilot holes. Automatically centers screw in self-drilled expansion hole and unique shank design guarantees centered washer and seal. Provides ONE STEP fastening for FRP, Laminated (Wood/OSB) to FRP, and Fluted Poly Backed Laminated FRP Materials. Perfect fastener for skylight and FRP Ridge Cap Panel fastening. Allows ONE STEP fastening for all PVC/FRP liner products. Completely reusable. Damaged panels can be replaced with original ONE STEPPERS. 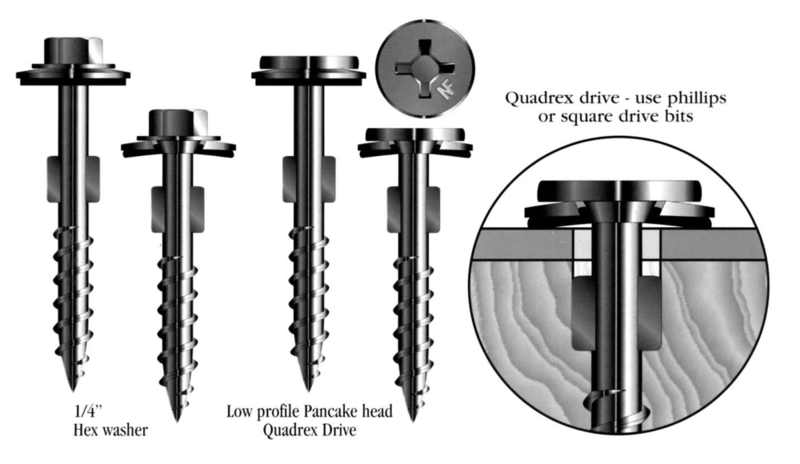 Available in 1/4" Hex Washer head and Pancake head Quadrex Drive. Sealing washers provide a cushioned expansion. Fastens substrate thicknesses from .030 and thicker. Washer OD: 12mm / 1/2"